India Skills Report - a joint initiative by CII, PeopleStrong, Wheebox and LinkedIn is the only report on Talent landscape of India. The study, while considering the enormity of the impact that the skill-job gap is going to have on the socio-economic environment of the country, tries to bring in a more realistic, holistic view of the skill and talent landscape in India. The report presents not only the employability factor of the youth from across the country from different educational background but also the needs & expectations of the employers. It is this scientific tool that can help address the skill gaps in labour market and facilitate better employment opportunities for the youth, thereby increasing India’s industrial productivity. in its third edition, the report aims to create standard reporting guidelines on the potential skill supply-demand gap, that can provide insights into the hiring trends of the market while understanding the needs of the job seeker and organizations. Corporate Job Survey: Estimate the growing needs, trends and varieties of the Job Market through an online market survey. 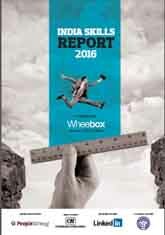 WEST (Wheebox Employability Skill Test): Online assessment scores through WEST (Wheebox Employability Skill Test) across 5 major skills sets (ITI, Diploma, Engineering, Management, Degree and Vocational).